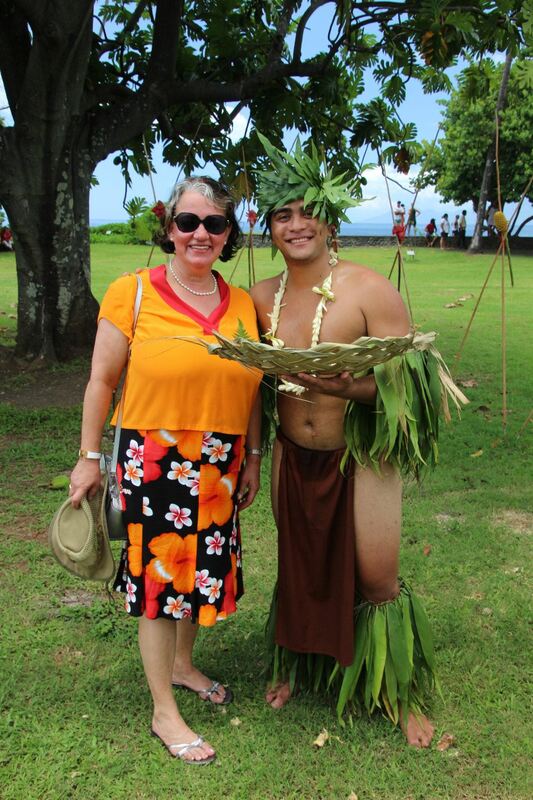 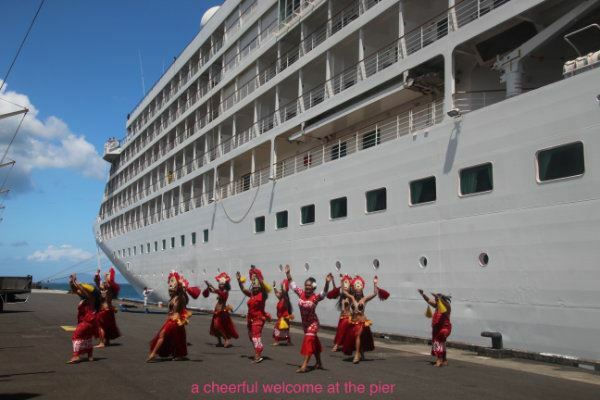 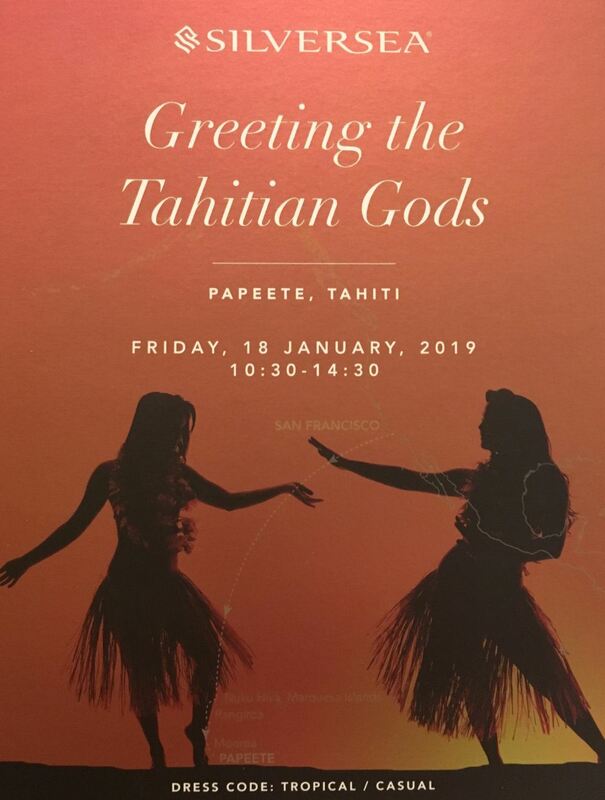 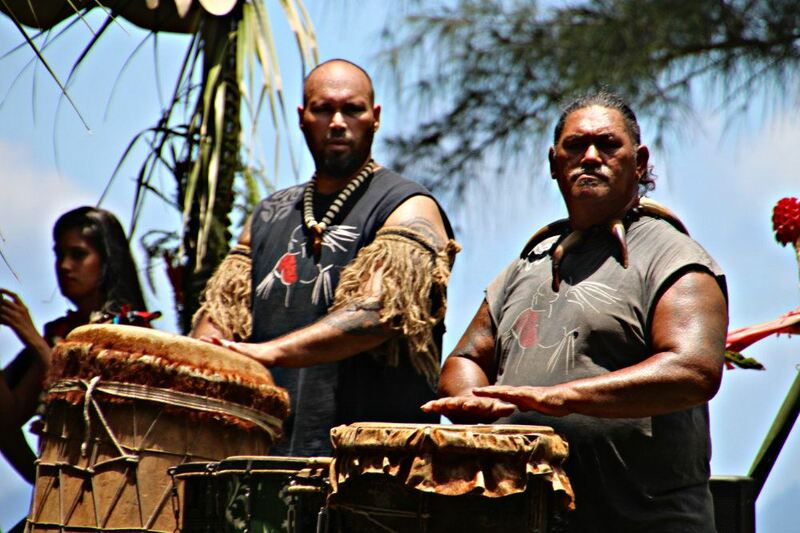 In the late morning of January 18th, 2019, we joined Silversea`s invitation to an event for all world cruisers : “Greeting the Tahitian Gods“. 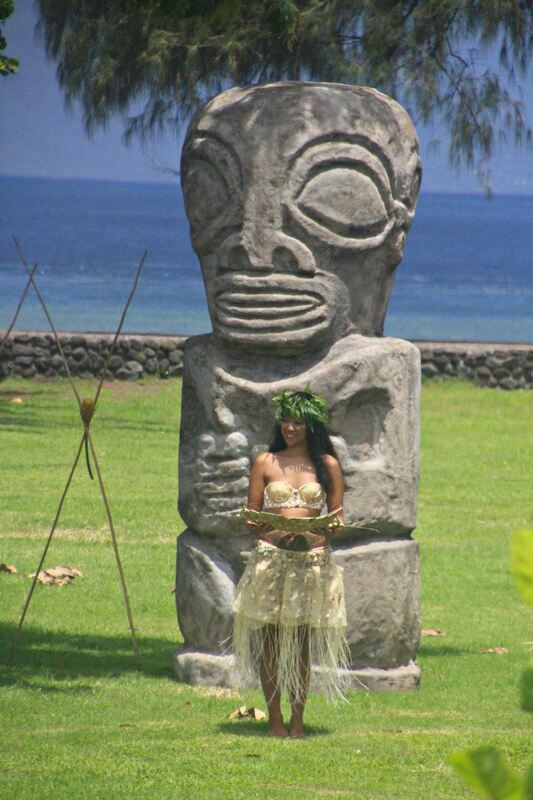 The bus took us to the Tahitian Museum, which displays Polynesian culture. 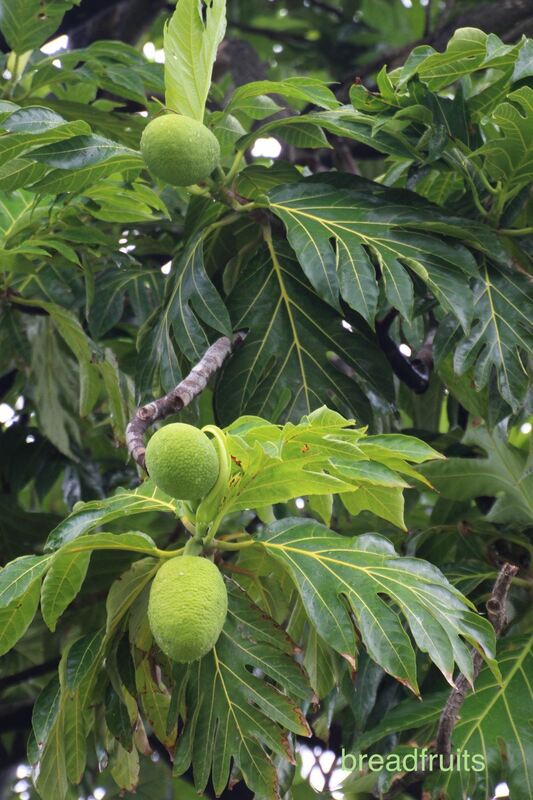 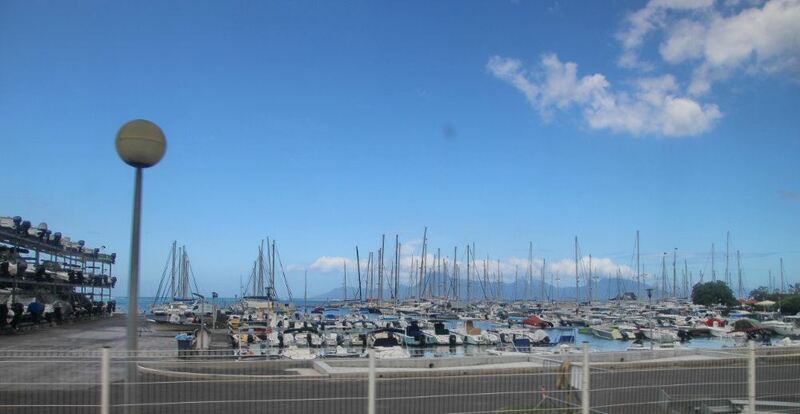 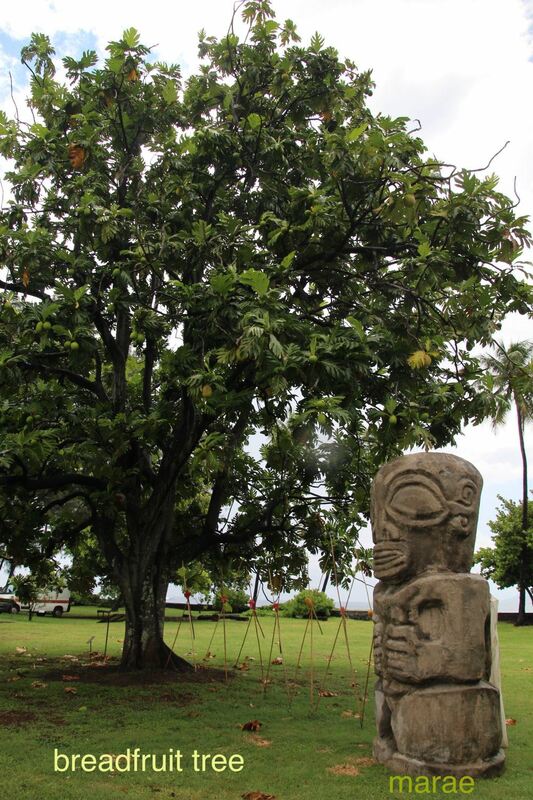 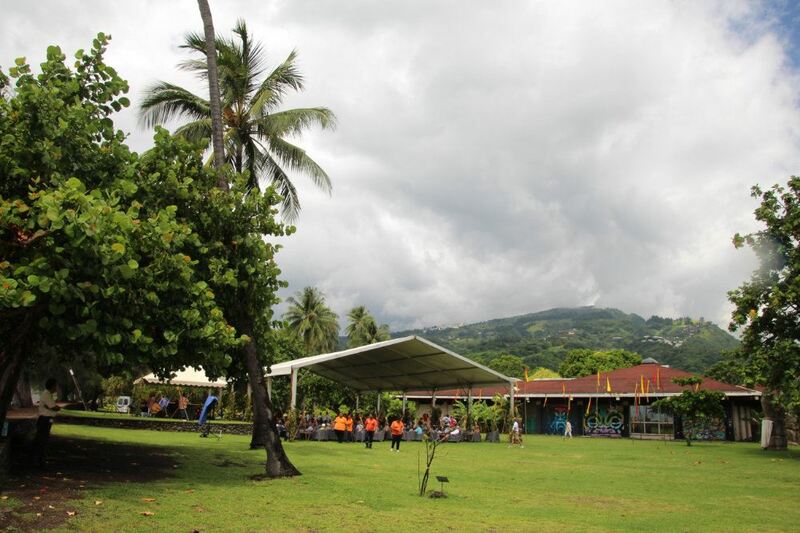 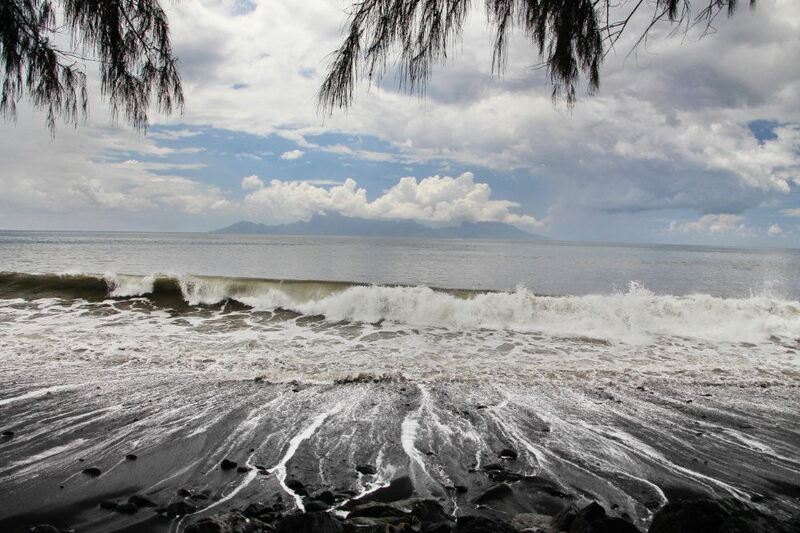 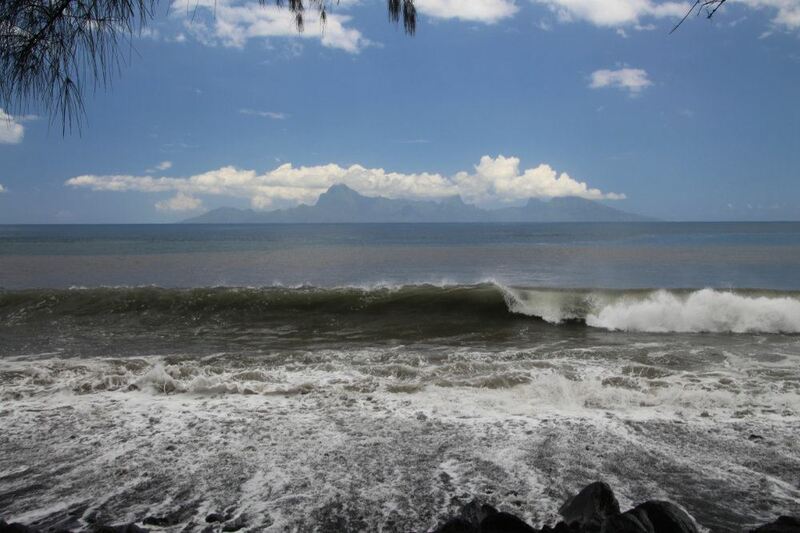 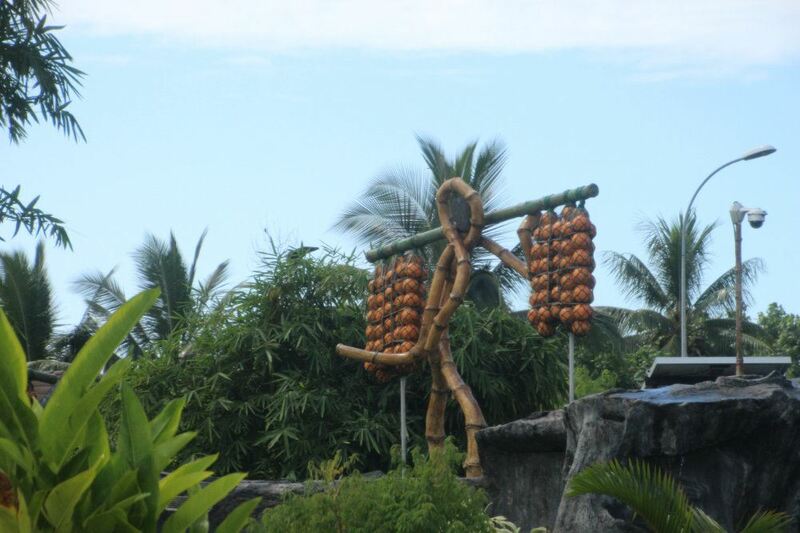 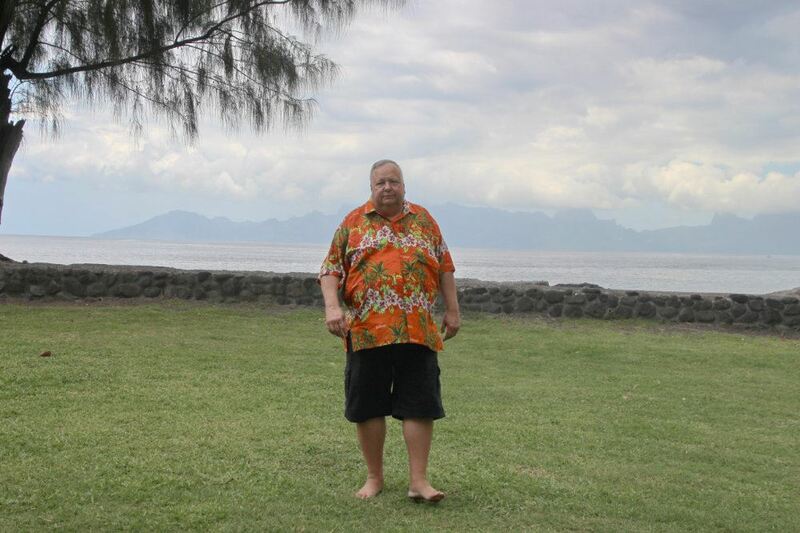 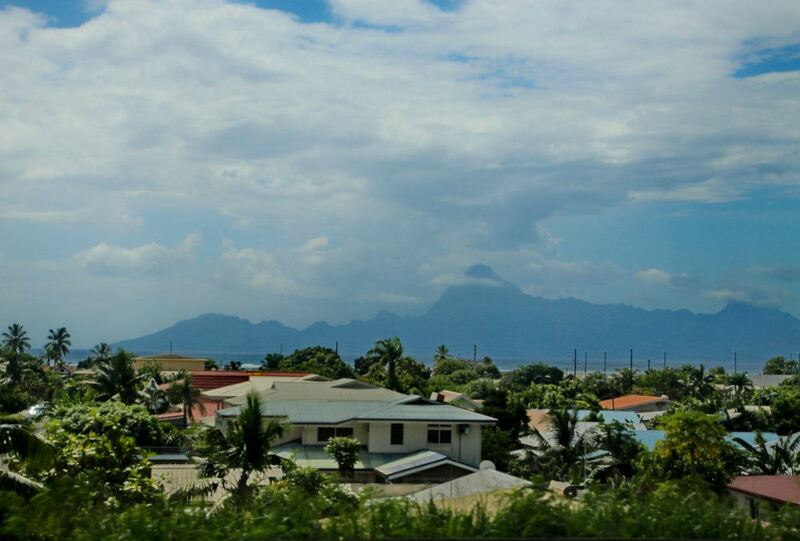 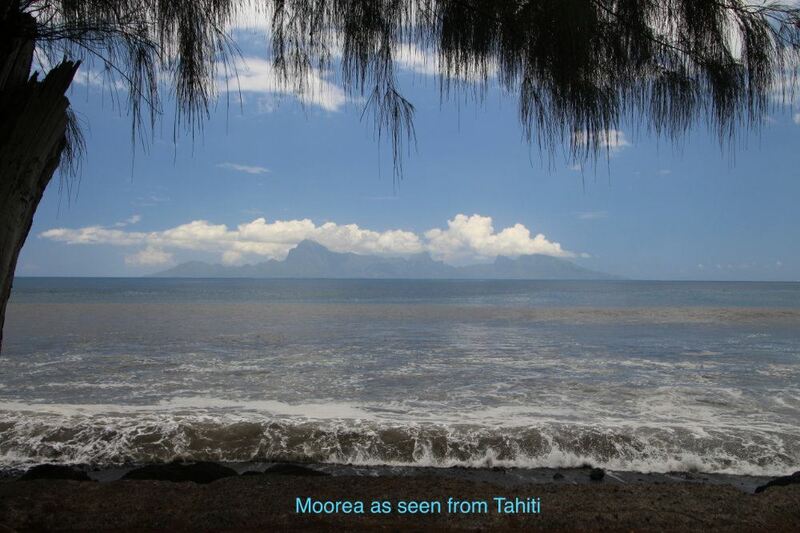 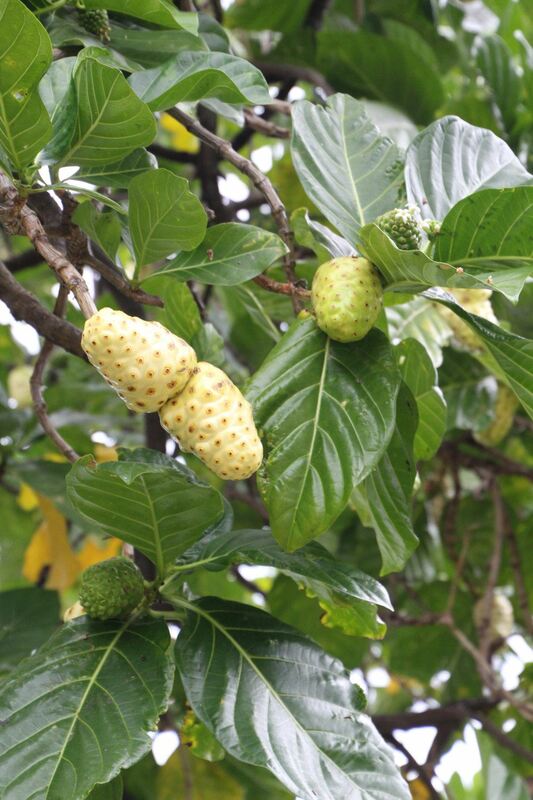 The site is located directly by the ocean front, with good views of the opposite „sister island“ Moorea. 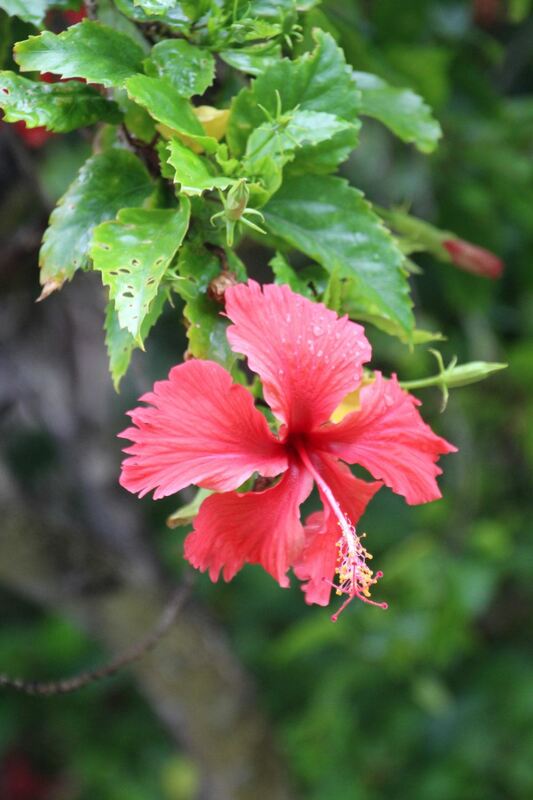 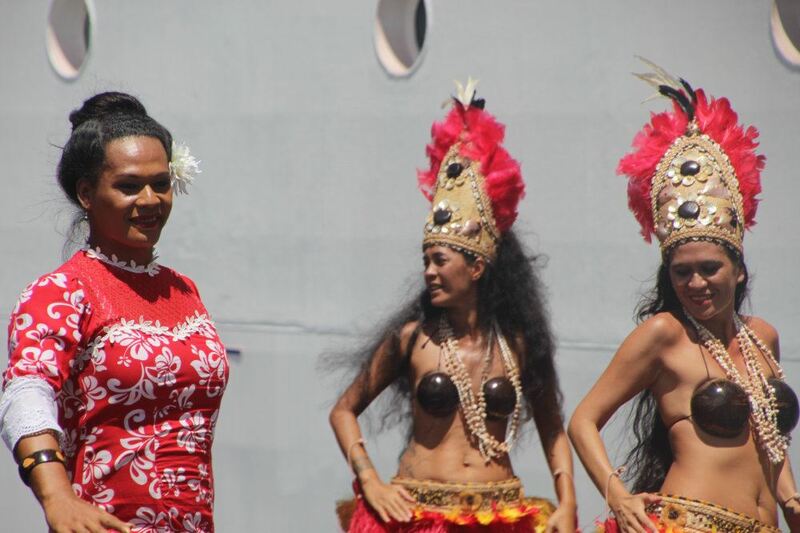 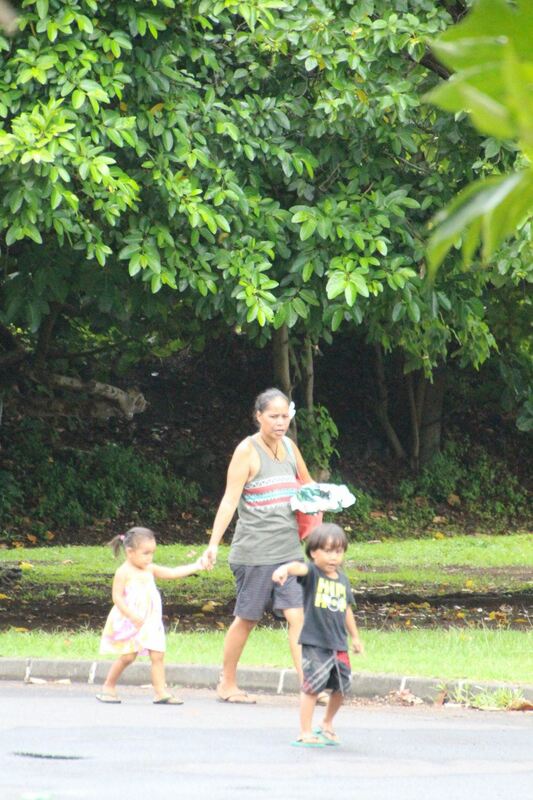 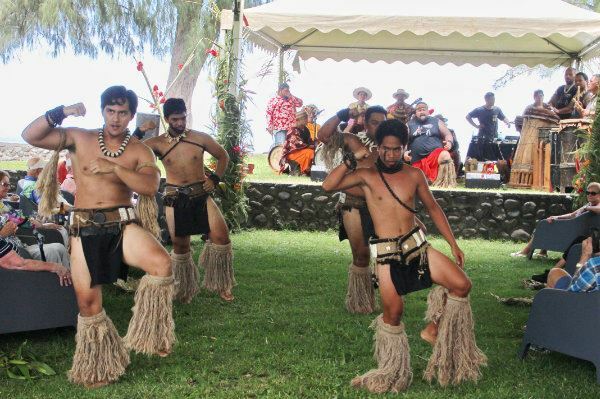 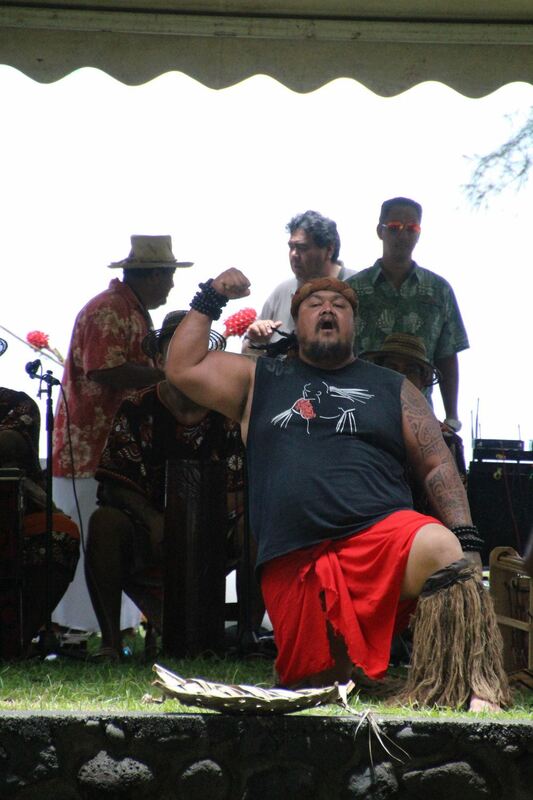 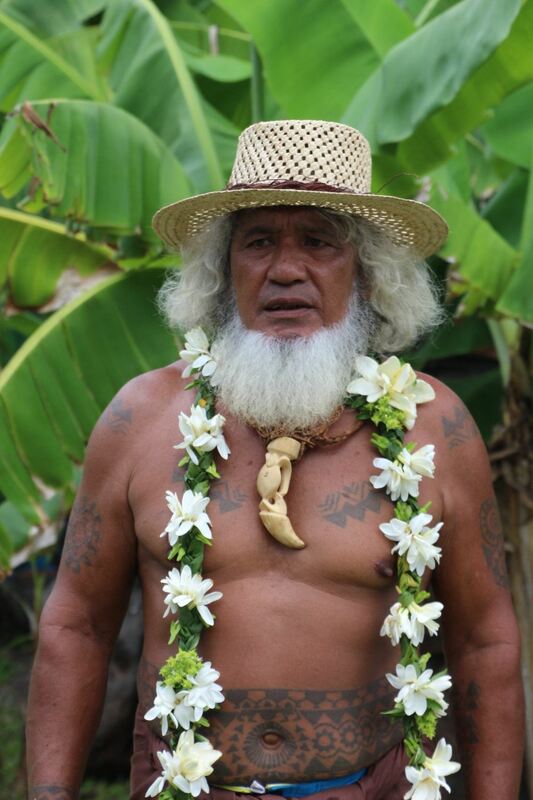 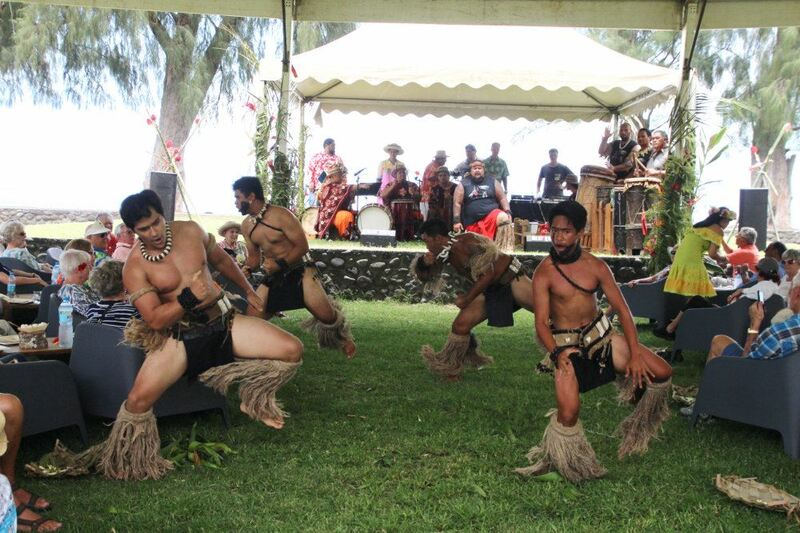 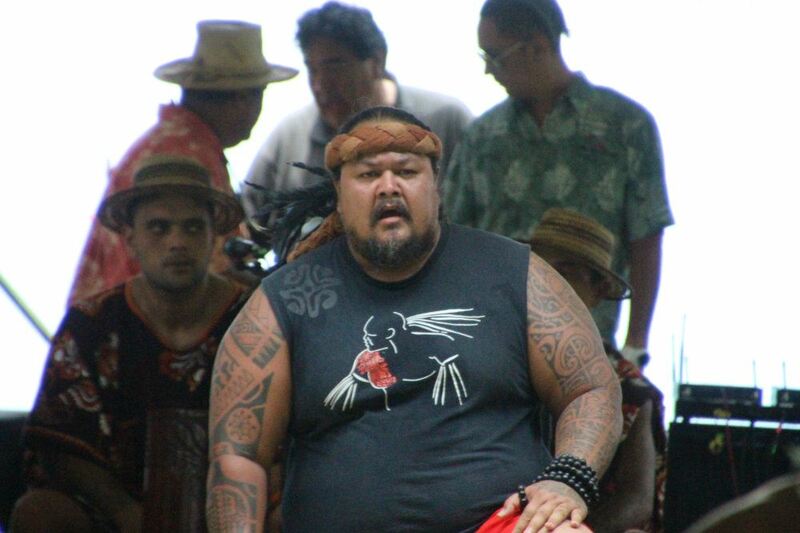 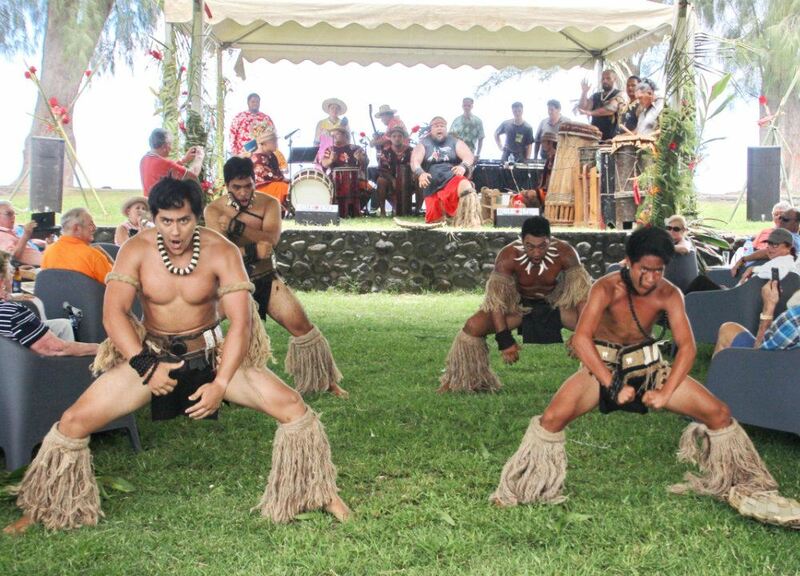 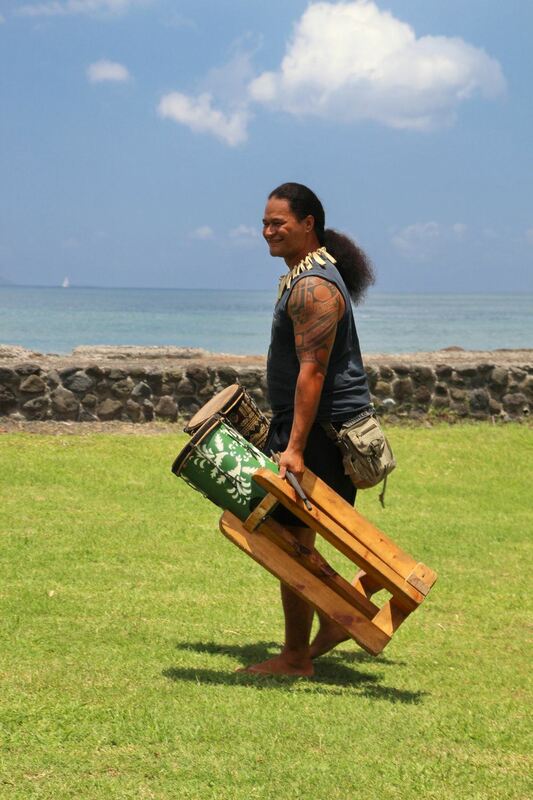 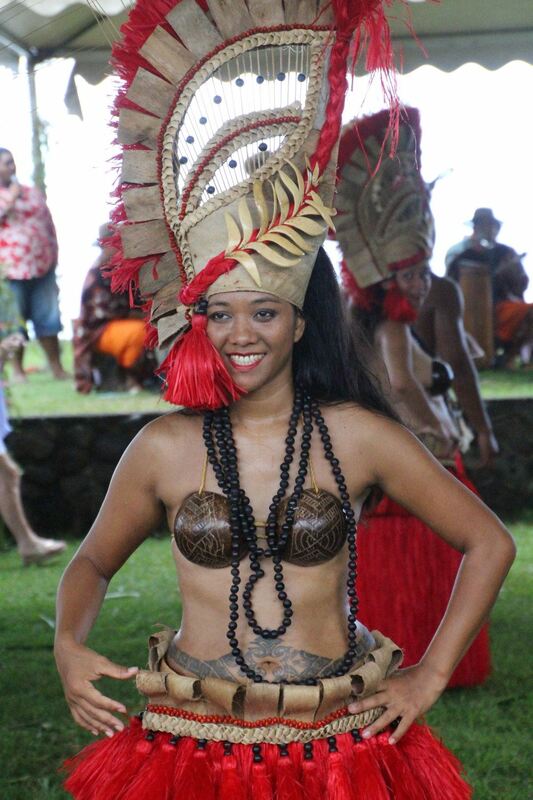 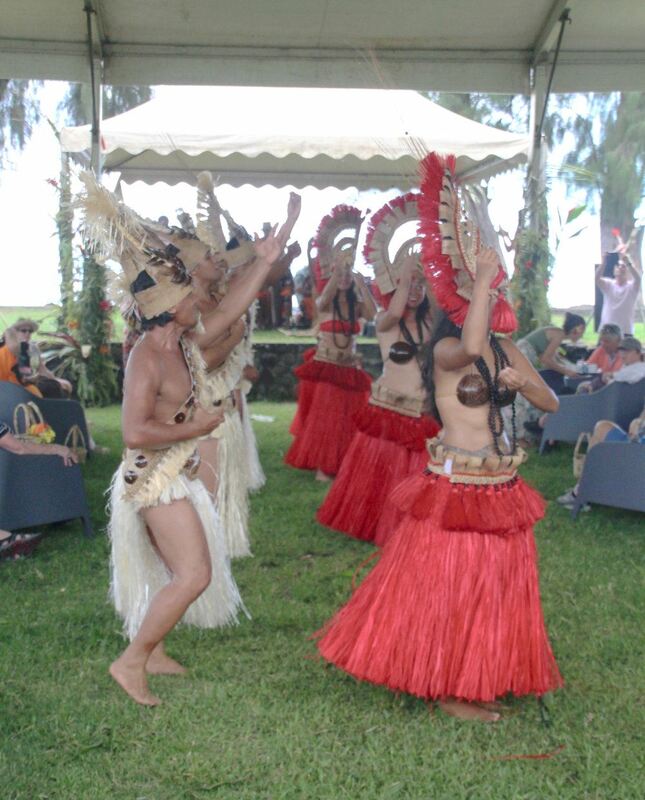 Upon arrival, we were greeted by pretty Tahitian girls and “feary“ looking men. 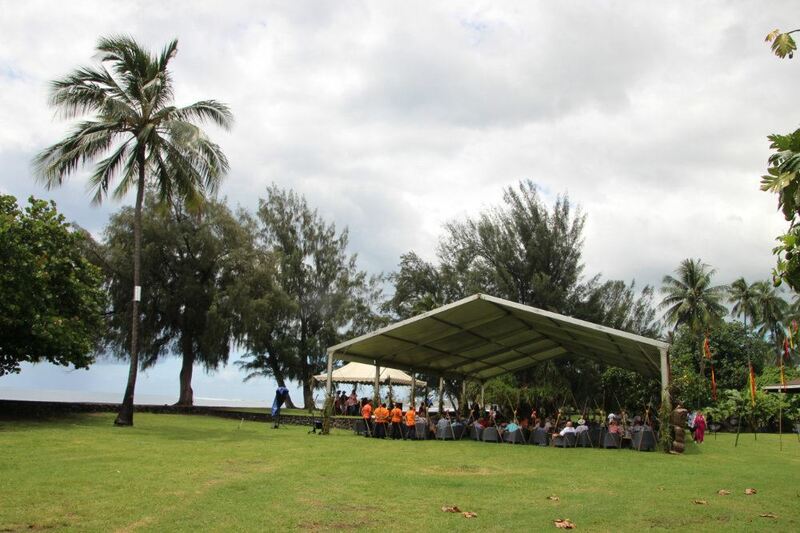 We were guided to sit under a big tent with open sides, which was set up in the garden to protect us from the sun and a tropical (short) rainshower as well. 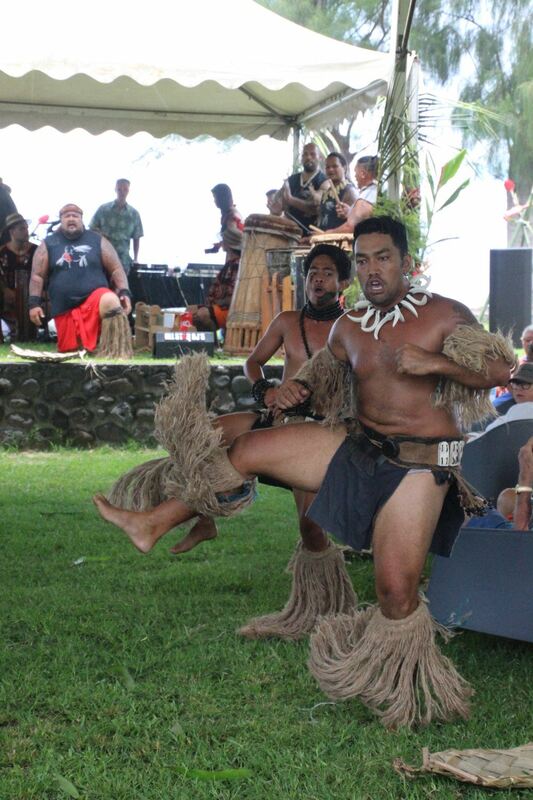 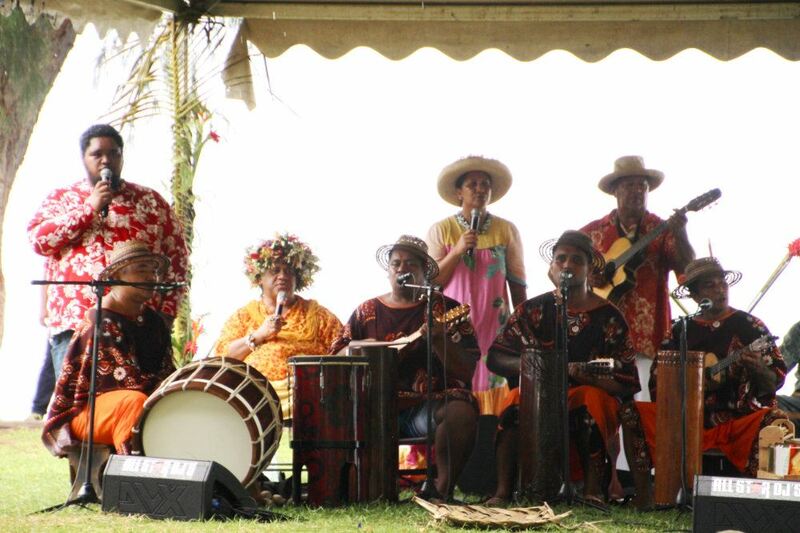 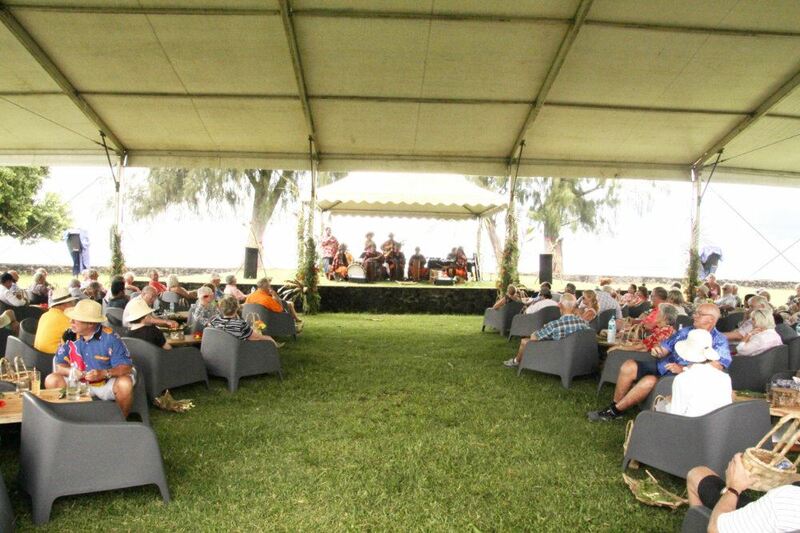 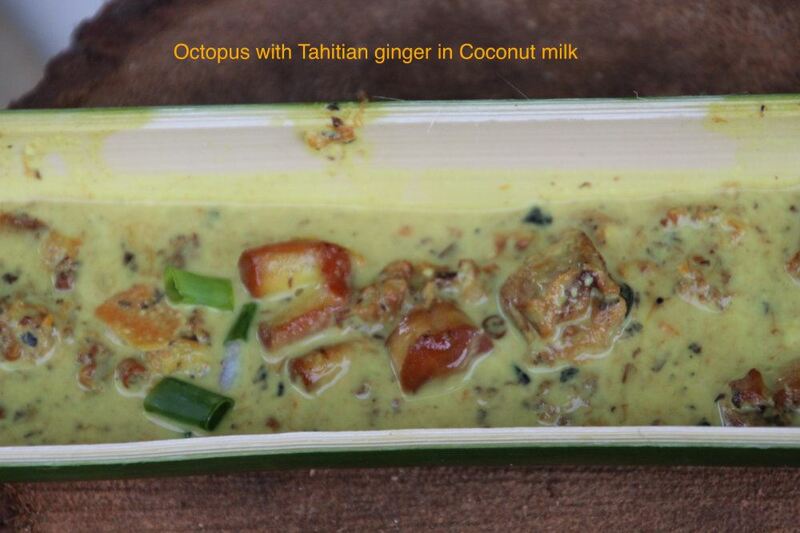 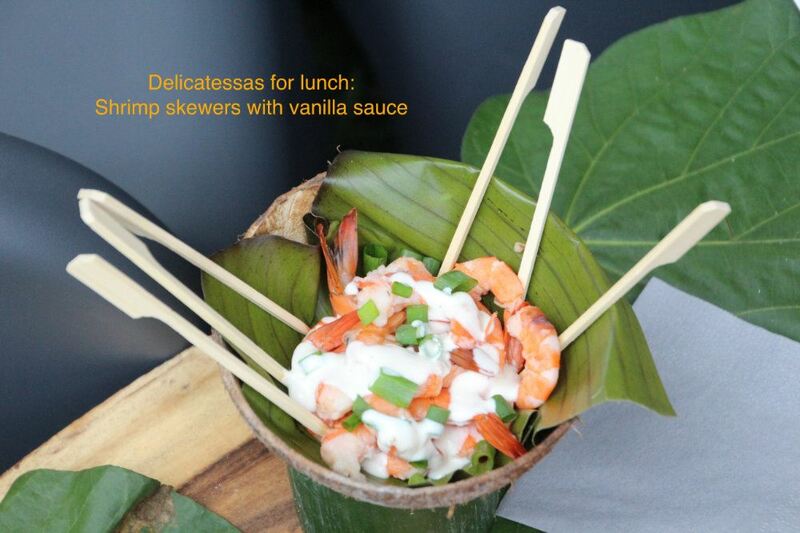 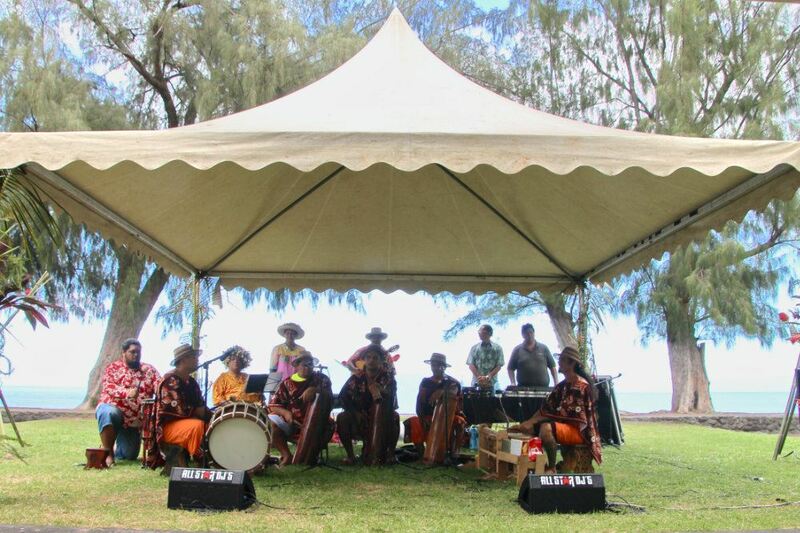 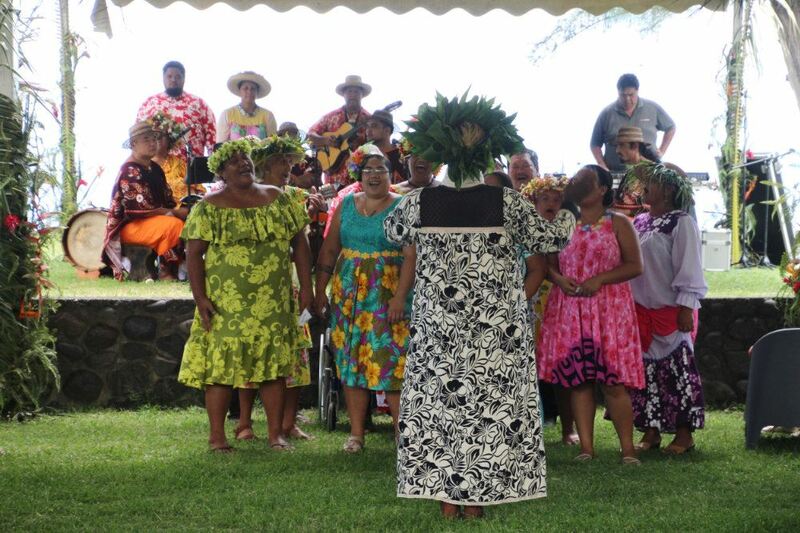 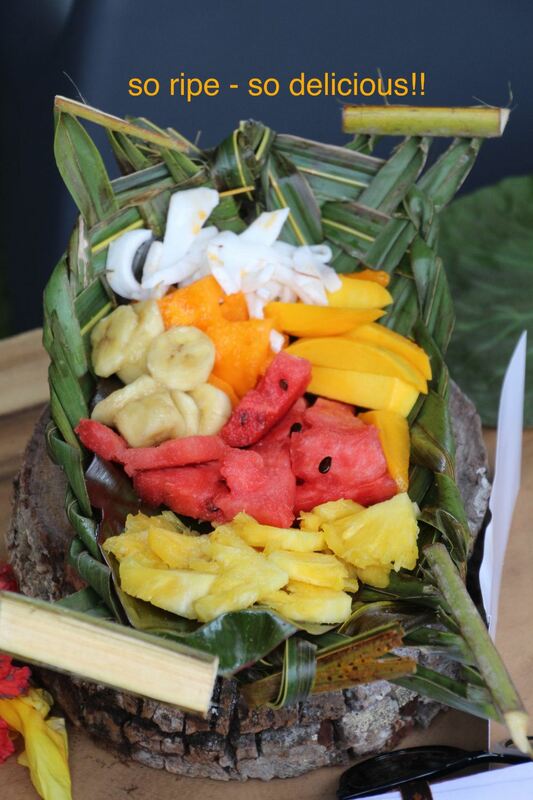 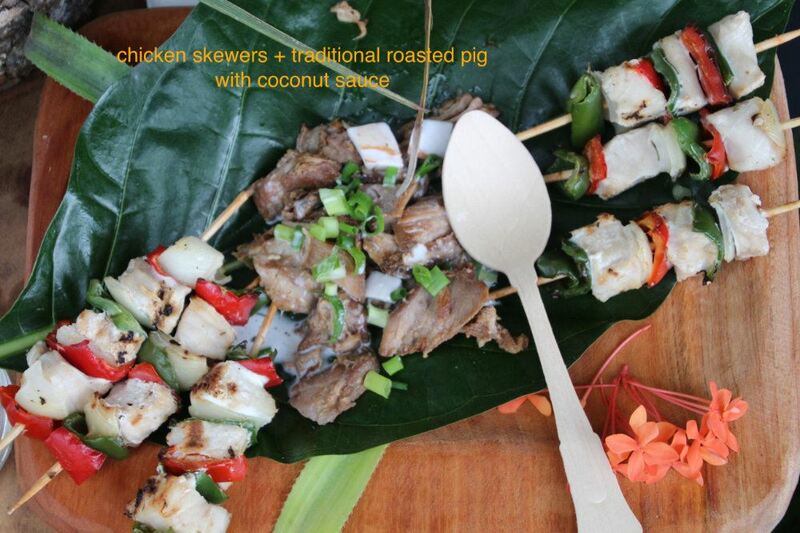 While we enjoyed listening to local singers and watching typical Polynesian dances, various delicious dishes were served to our tables for lunch. 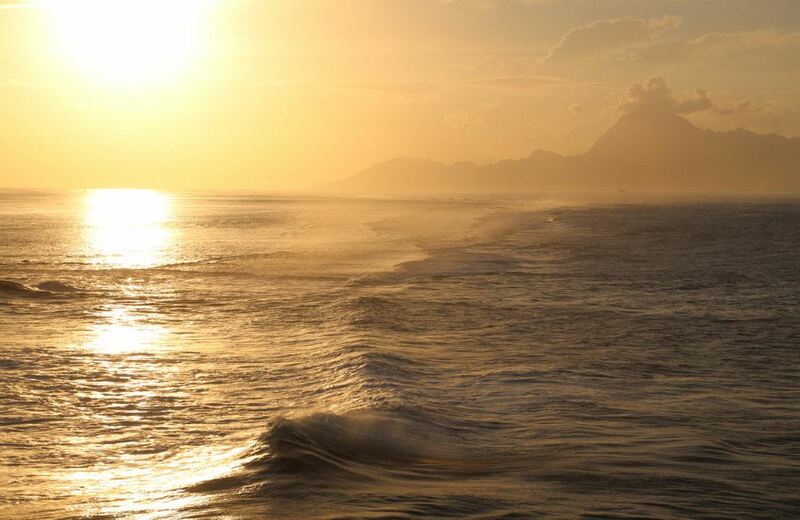 The mood was happy. 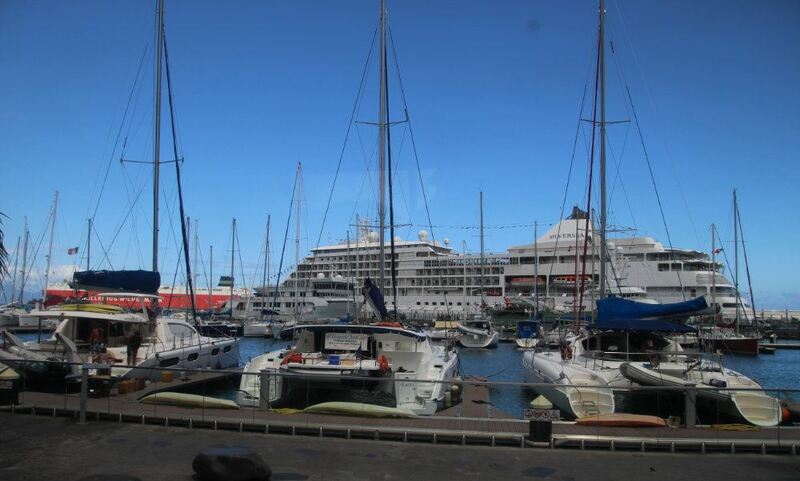 The venue lasted for about two and a half hours and we returned to the ship in the early afternoon. 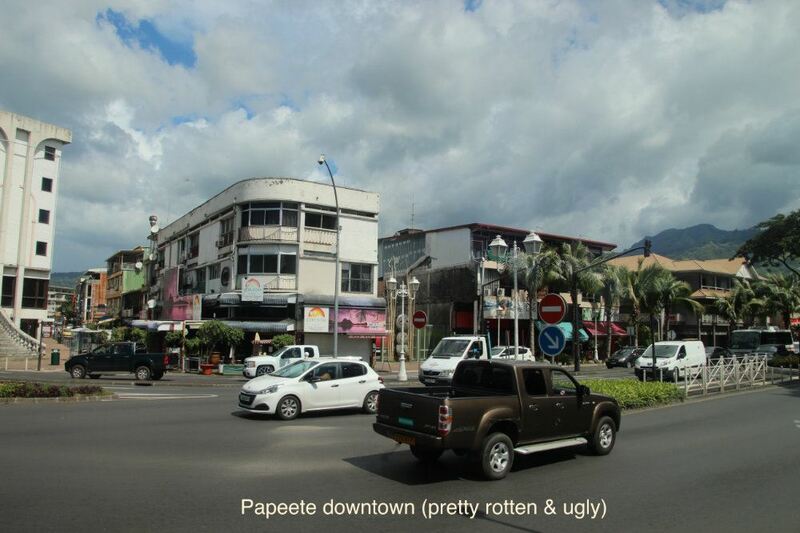 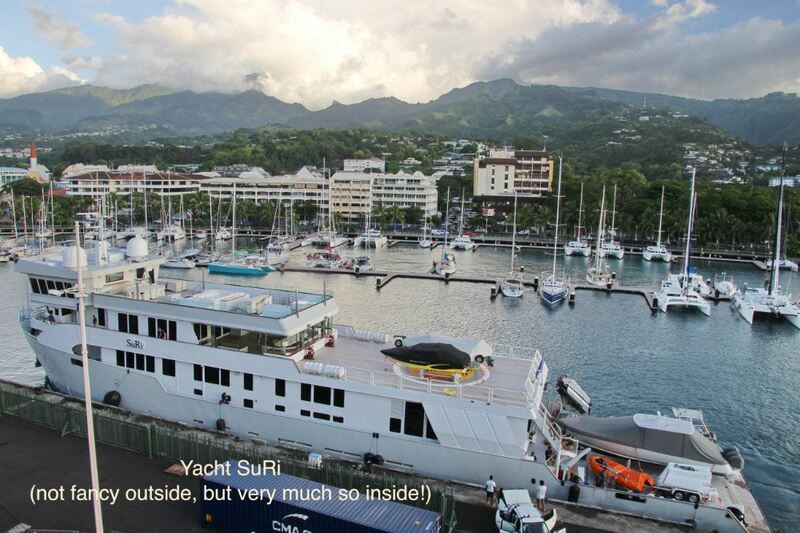 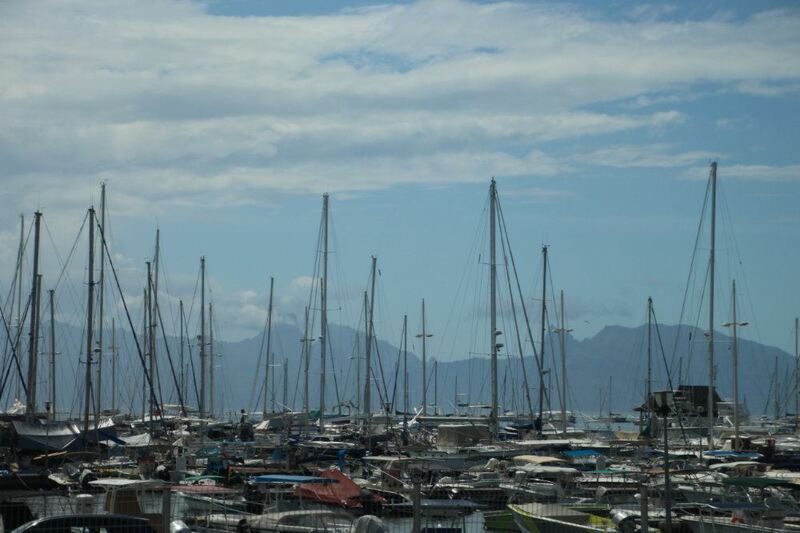 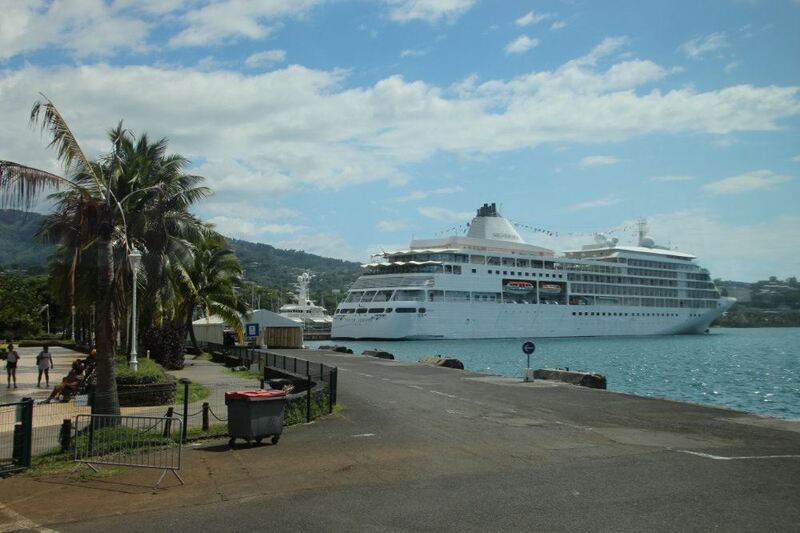 More short rainshowers and the tropical moist heat made us stay aboard rather than still exploring Papeete - besides, we find this quite busy city not very attractive (had been there before). 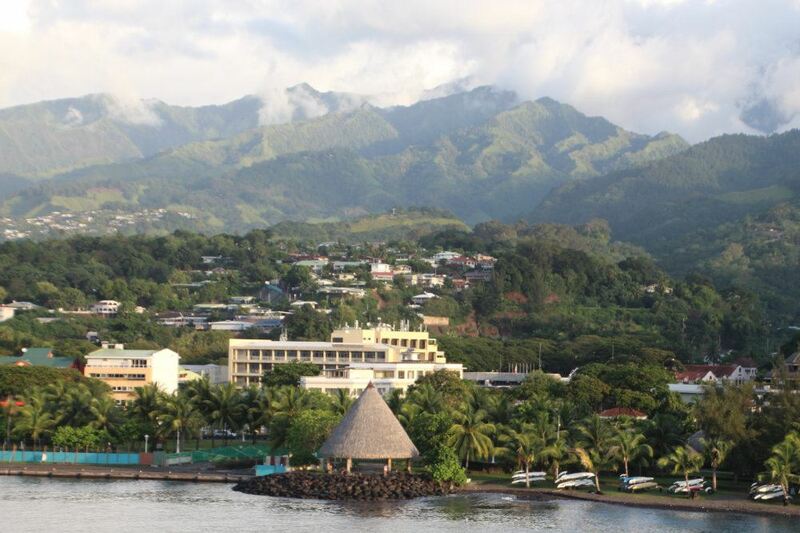 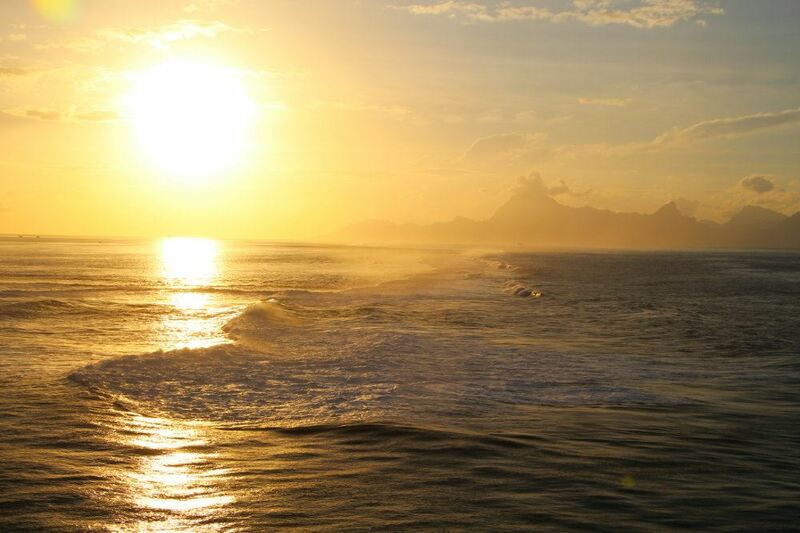 I never can understand the hype about Tahiti, I find Moorea and Bora Bora much more beautiful! 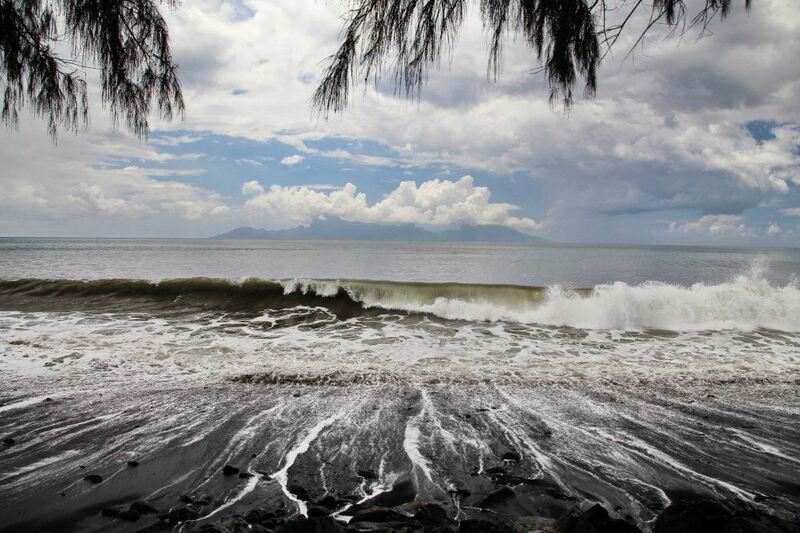 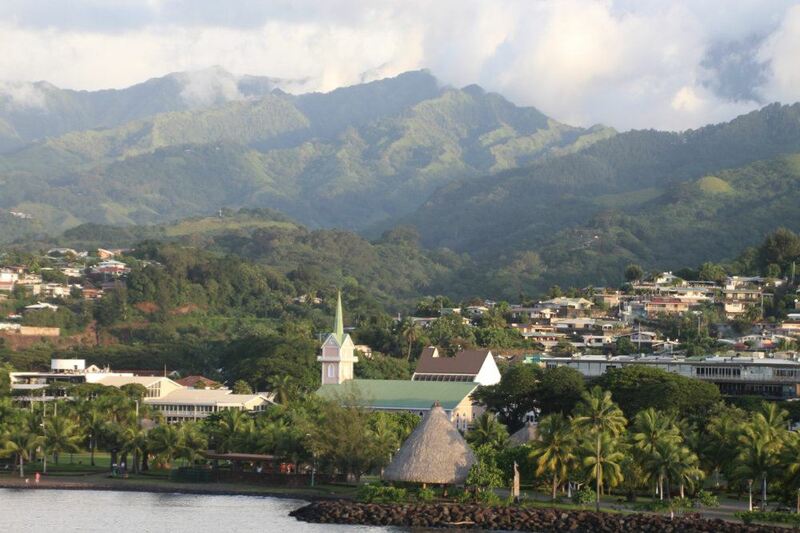 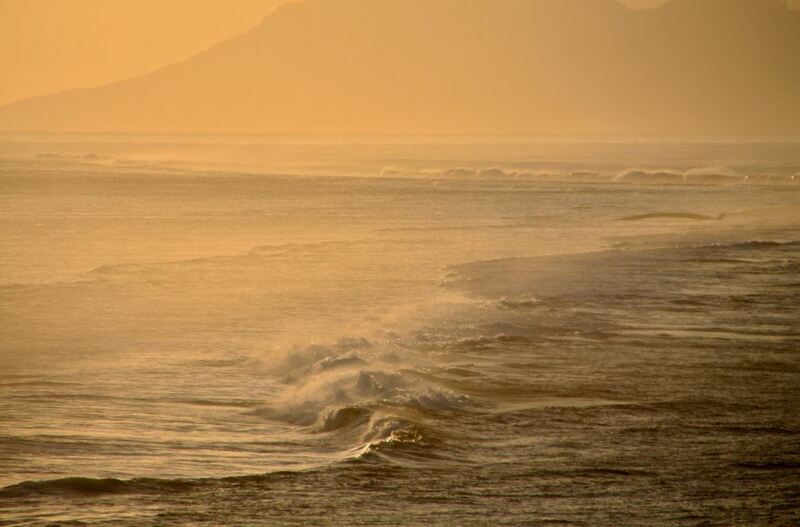 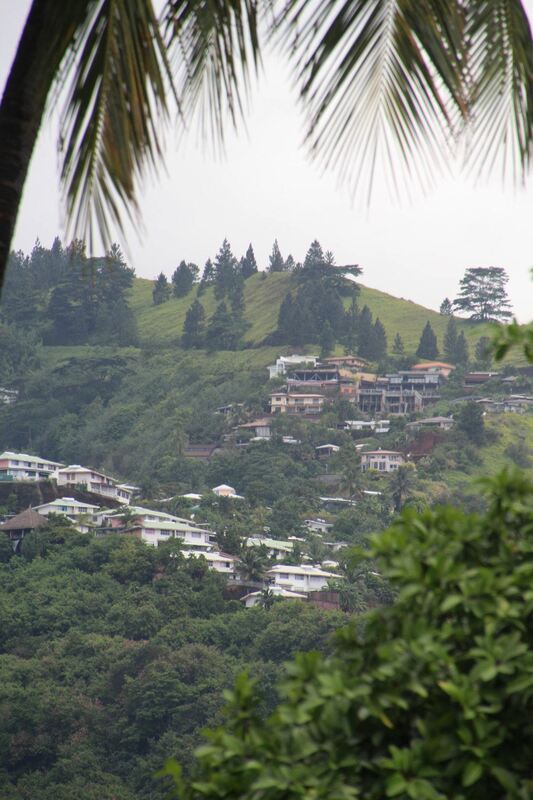 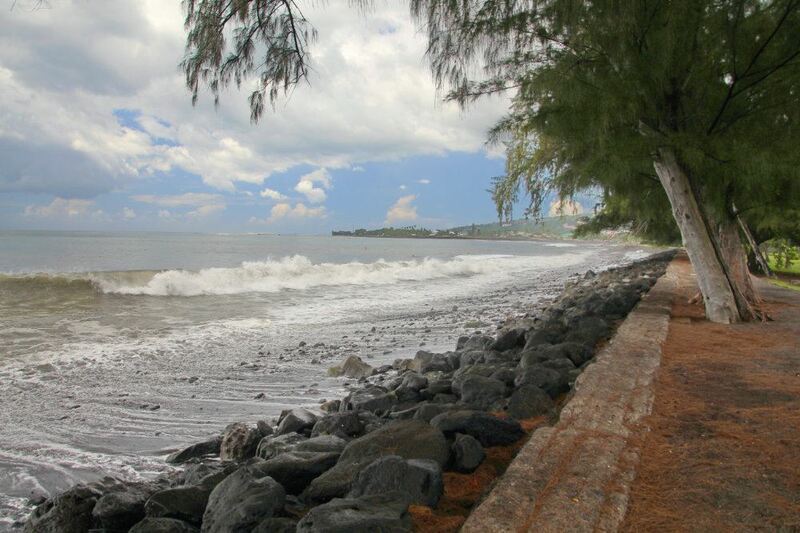 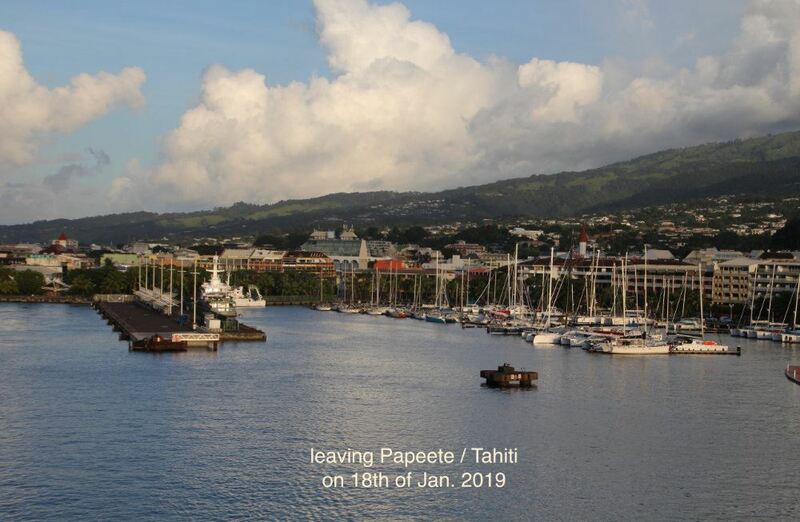 But traveling to the South Pacific by plane, everybody has to fly into Papeete and stay overnight before proceeding to the other islands - might be a reason why Tahiti became so well known. 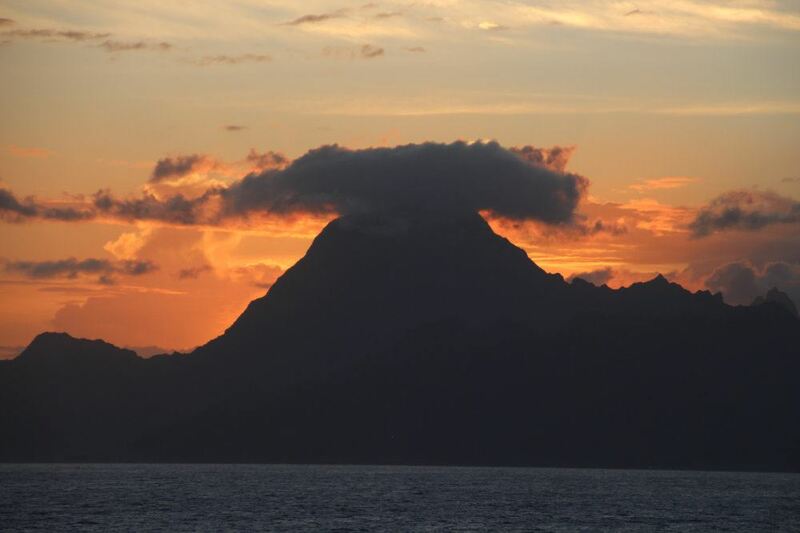 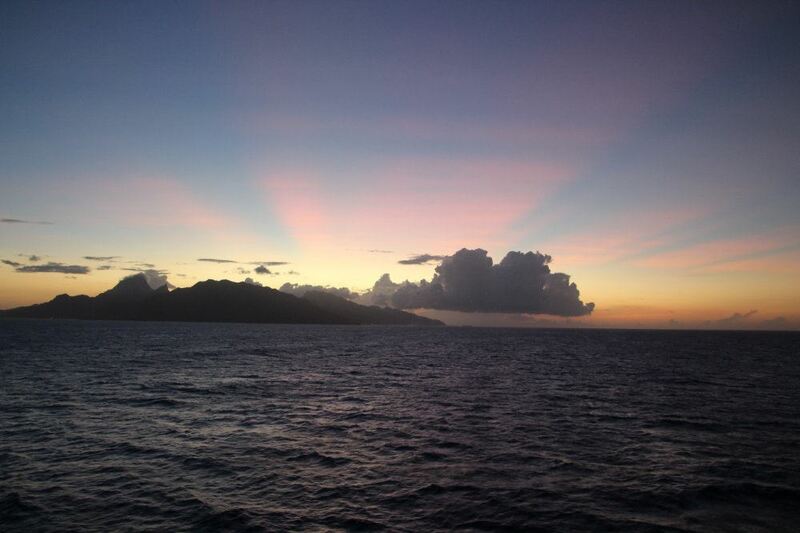 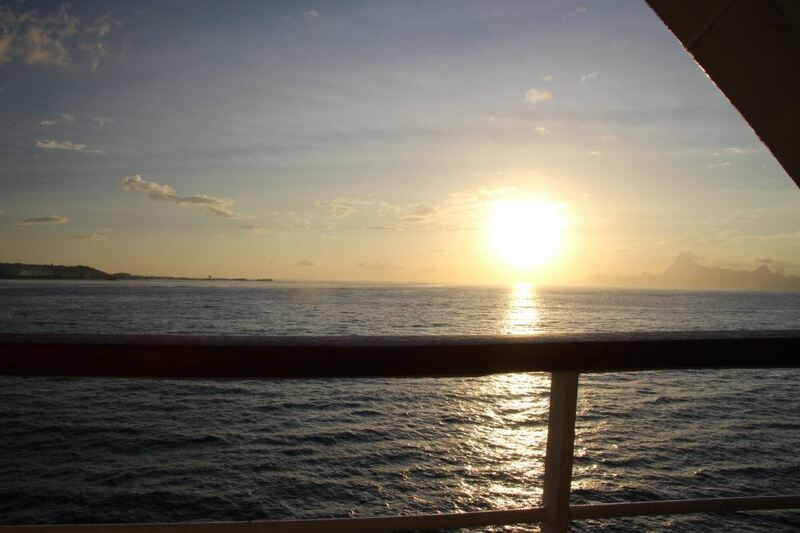 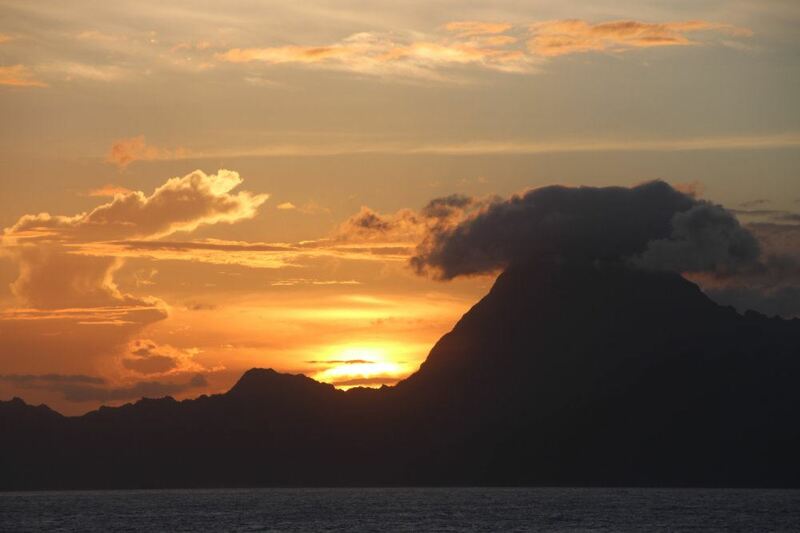 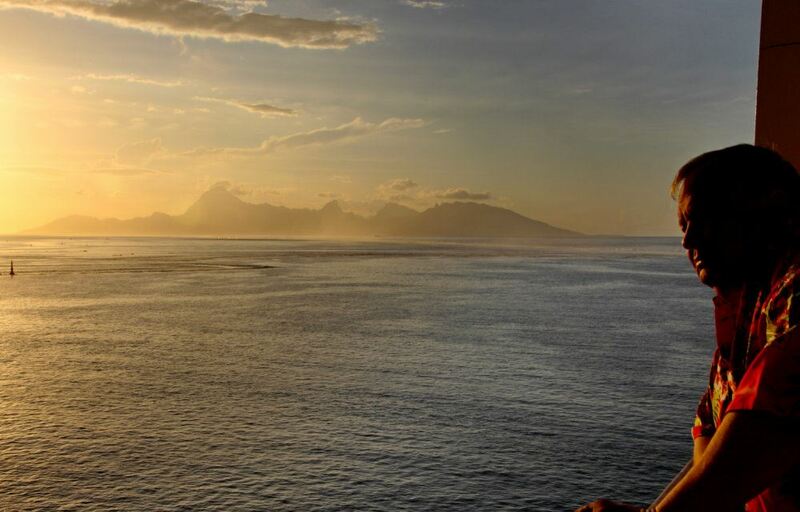 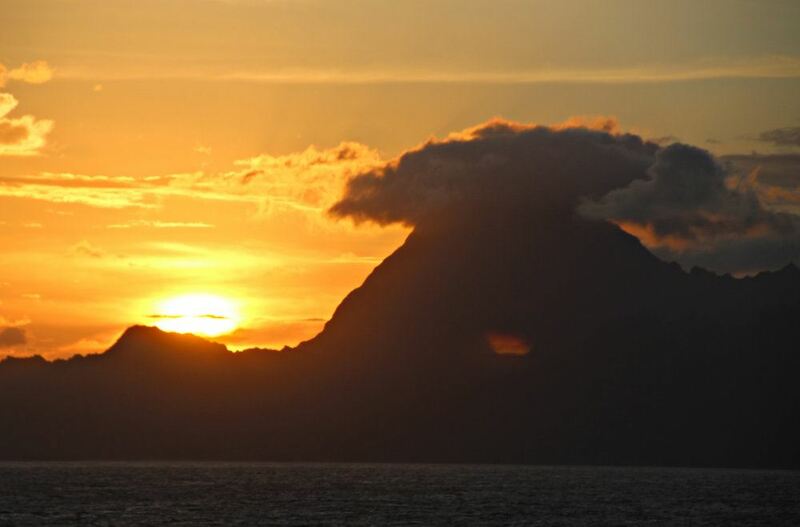 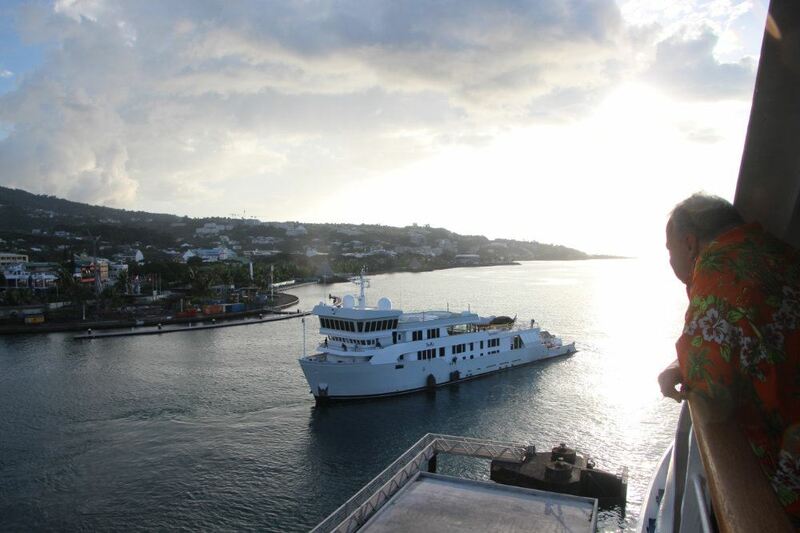 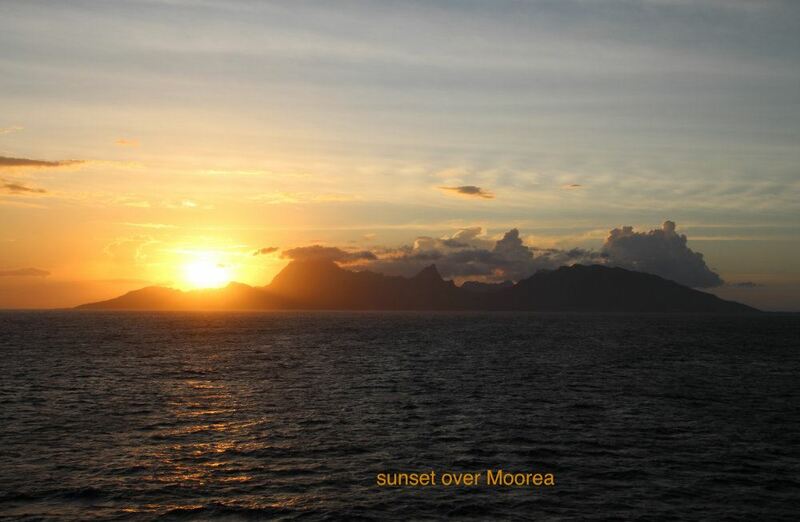 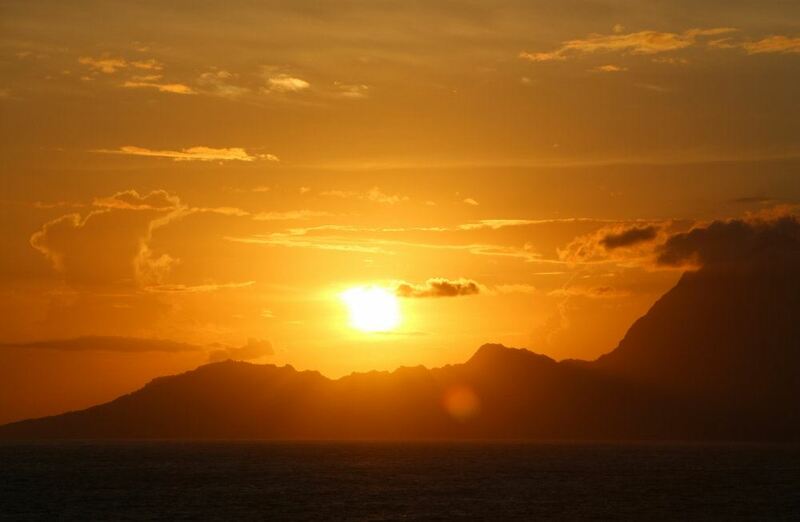 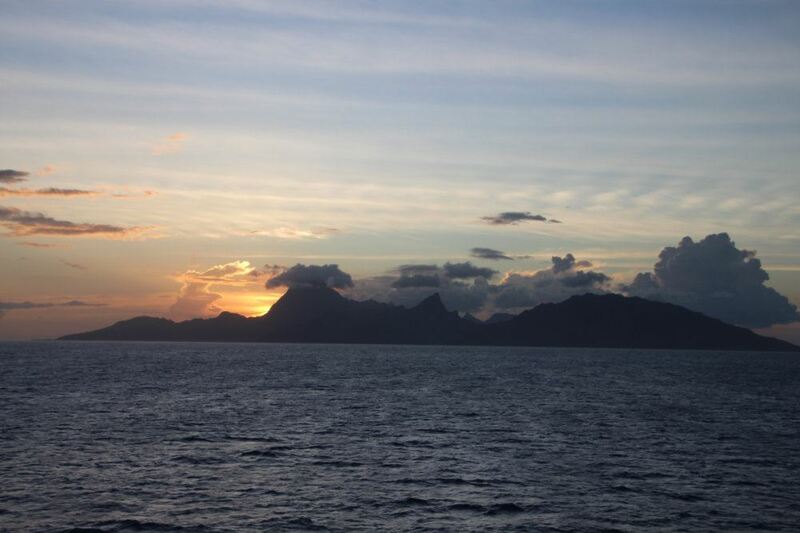 We departed at 6 p.m., and when we sailed out of the port, we enjoyed a wonderful sunset over Moorea, where we sailed by.